On a launch pad in Florida, SpaceX Falcon 9 rocket is ready for the first flight test of its new space capsule designed to carry astronauts into space. The Falcon 9 is scheduled to take to the skies over Florida Saturday morning. The rocket’s payload is the new Dragon capsule, the company’s very first vehicle designed to take people to the International Space Station. Even though the Crew Dragon capsule is meant for passengers, it will not carry any people on board when Falcon 9 rocket blasts off. The mission is called Demonstration-1 or DM-1 and the flight is a test. It is only meant to show NASA that the Crew Dragon is space-worthy and safe for future human crew members.NASA is particularly concerned about this, because the very first people who will fly on the Crew Dragon capsule will be the space agency’s astronauts. The Crew Dragon is a critical part of NASA Commercial Crew Program, which has been developed by using privately-made spacecraft to transport NASA astronauts to and from the space station. The white, bell-shaped Dragon capsule can carry up to seven astronauts and it is basically a more powerful version of the SpaceX robotic cargo ship. When the capsule blasts off as, it will travel to the International Space Station and dock there. 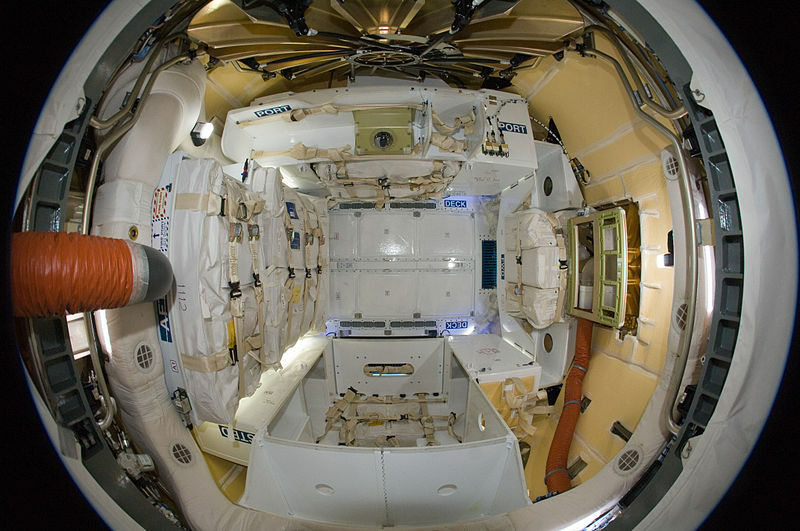 The three astronauts currently living in the space station will be able go inside the hatch to load and unload cargo before the Dragon returns to Earth and splashes down in the Atlantic Ocean. SpaceX has successfully launched its 21st rocket of the year – smashing its previous record, which is its first national security mission in the process. At 8.51a.m. 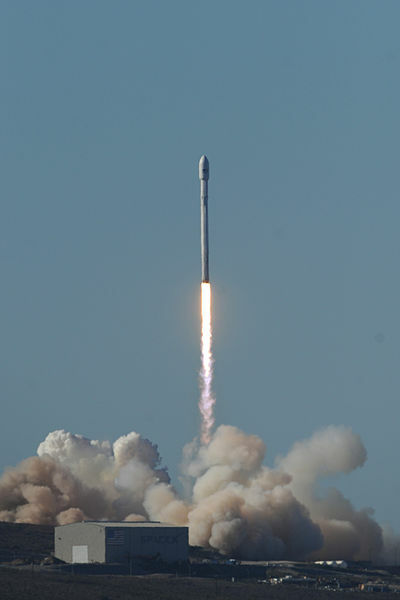 Eastern Time, December 23, a Falcon 9 rocket lifted off from Cape Canaveral with a new GPS 3 satellite built by Lockheed Martin for the U.S. Air Force. The launch had been delayed several times the last week, but finally took off on Sunday. This was the 20th Falcon 9 rocket flight this year, and SpaceX’s 21st flight in total, including the Falcon Heavy launch in February. The previous record was last year- 18 launches. This launch does not aim a landing, unlike SpaceX’s recent launches. The full performance of the rocket will take the satellite on board to its intended orbit about 1,200 miles above the Earth. In 2016 SpaceX were awarded an $83 million contract to launch this satellite, which is worth half a billion dollars. This is the first of a class of new GPS satellites that are being built by Lockheed Martin. Lockheed Martin developed and manufactured GPS 3 at its advanced $128-million GPS 3 Processing Facility near Denver. 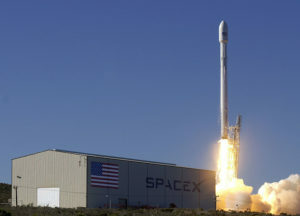 In September 2017, the Air Force declared the satellite “Available for Launch”, AFL, and had the company place it into storage. Last Summer the Air Force ordered the satellite for launch and Lockheed Martin delivered it to Florida on August 20. The satellite is nicknamed the Vespucci after Italian explorer Amerigo Vespucci and has a lifespan of 15 years . The launch was originally scheduled for May 2018, however, it was delayed as tests of new Block 5 rocket had being continuing. SpaceX is currently contracted to fly four more GPS satellites, worth more than $380 million in total. The goal of Vespucci will be to replace an existing old GPS satellite that has been in orbit since 1997. The new satellite, GPS 3, known as SV01, boasts some advanced capabilities over its predecessor, including three times better accuracy and up to eight times improved anti-jamming capabilities. A reused Falcon 9 booster carried 10 satellites into orbit from California’s Vandenberg Air Force Base north of Los Angeles on Friday, leaving behind a trail of mystery and wonder as it soared into orbit. More on the topic here.